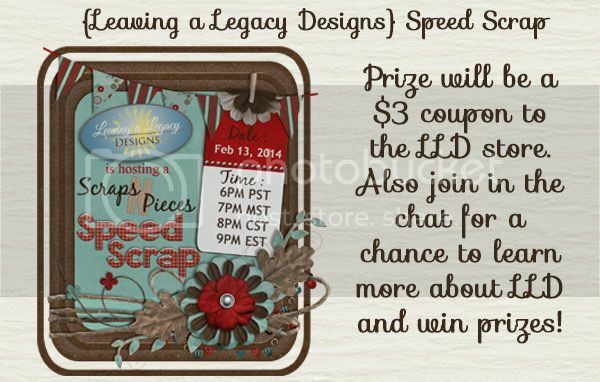 Join Leaving a Legacy Designs on February 13th for a fun speed scrap and chat! Help her kick off her time as featured designer a few days early! !